Although Saturday got off to a cold and dreary start by the afternoon the sun was out and there were blue skies up above. Perfect weather for wandering around the garden, iPhone in hand, to capture some spring flowers. The early daffodils have now gone over, been deadheaded but not tied back, the leaves left to continue to store energy into the bulbs before dying back in about six weeks time. It's a different story with the "Cornish" daffodils however. Seven years ago the SP and I visited The Lost Gardens of Heligan (click on the link to read a post about our visit which features both shopping and a Cornish Cream Tea!)) and I bought a good number of different daffodil species in the shop there. The Cornish daffs flower at least a month later than the earlies extending our daffodil season from December to April/May and brightening Normandy's cold and dark winter days. 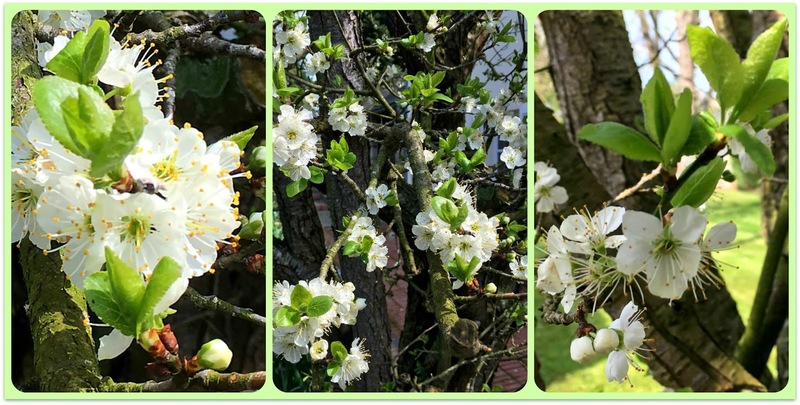 Also bringing beauty into the garden this week are the blossoming fruit trees, damson; cherry; pear and apple are all doing their very best to outshine each other. 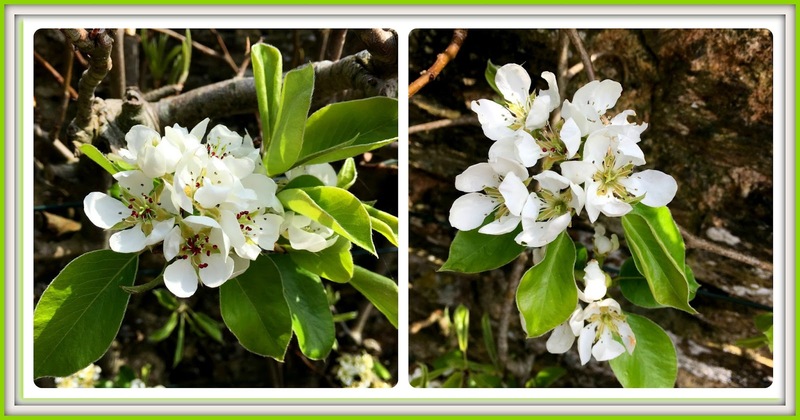 As I walked around taking photographs I could hear bumble bees buzzing above my head but couldn't get a single one of them to sit still long enough for me to take a snap. Thank you for all your comments on the ballerina's tale last week, so many of us have the same dilemma it seems when it comes to disposing of our once loved treasures. The good news is that my ballerinas may have found a way to brighten up someone else's life in the future as a UK cousin, who deals in antiques and collectibles, has shown some interest. All he has to do is come and collect them! Spring is just not happening here yet, Maggie, although I see some healthy sprouts of crocus and daffs. 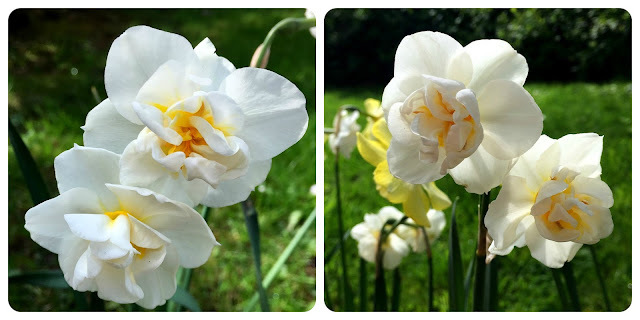 We had a good, cold winter with snow, and that makes for some great spring bulb flowers. 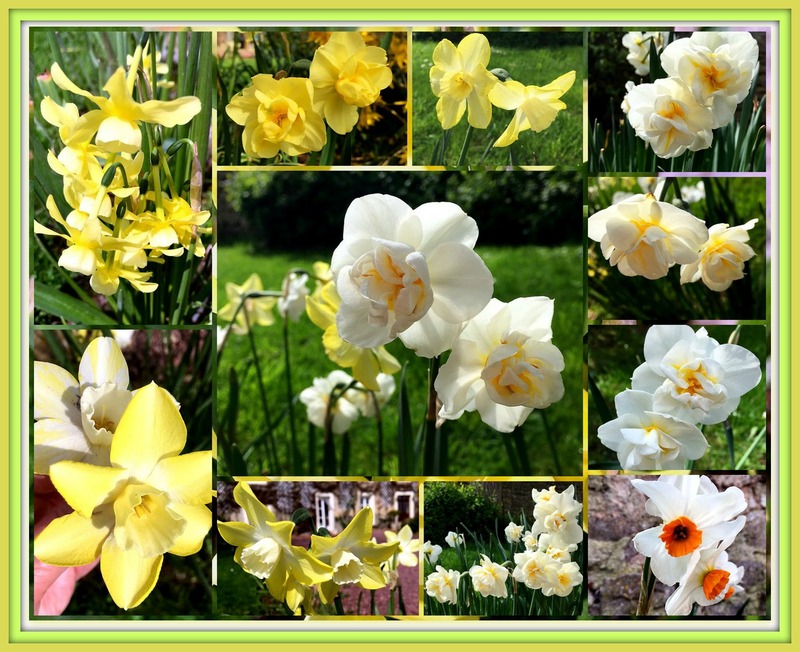 I admire that you know the names of all these gorgeous daffodils! Spring is in full bloom in your yards, maggie! So beautiful! I like flowering trees and wish their blossoms a bit longer as they look so magical. My daffodils are just beginning to bloom. Happily the deer don't like to eat them. gorgeous blooms. The change of seasons is such a glorious time of year. Downunder in Australia we are in autumn. Your beautiful daffodils are making me envious! I’d never heard of the Cornish variety and it’s great that they bloom later. Spring is a confusing season for me nowadays. it is lovely here but I miss the regular spring flowers that don’t bloom in this subtropical climate. The Spring blooms are so welcome and pretty. Like Sallie said, we don't have all of these pretty Spring flowers here in Florida but we have others that bloom year round, so that's nice. Happy MM! Thanks for the party! Hugs! How wonderful spring really is! Love all these flowers that it brings! Cheer to fill the week. Happy Mosaic Monday Maggie. Daffodils are a must for a Spring garden! Maggie - your first mosaic is mind-blowing!!! Such color, texture and variety! We are in the new house as of Saturday, and we took a walk around our 8 acres yesterday ... still a fair amount of snow on the ground ... Mother Nature is taking her time to wake up here ... so for now, I will enjoy spring through all of you! Thanks for hosting MM! I've never heard of Cornish daffodils! But oh, I do love the daffs, no matter what kind they are! Beautiful photos! And Rick and I will be headed to the UK in October! Maybe to France. I'll be emailing you with a few questions soon! Thank you for sharing the Cornish daffodils today, they are so very lush (like thick cream). Thank you too Maggie for your 81st Mosaic Monday, always a treat to visit and join in. I've never heard of Cornish Daffodils, but what a creamy beautiful colour they are. I remember your post about Heligan; how wonderful to have a memory of that visit that comes up every year in your garden. I'm glad to hear that the bees are busy about their work even if they don't stop for a photo op. Have a wonderful week, Maggie, and thank you for hosting MM once again. A delightful post! Such pretty flowers! Spring and Daffs are so much part of me, feeling happy that winter is on the way out! 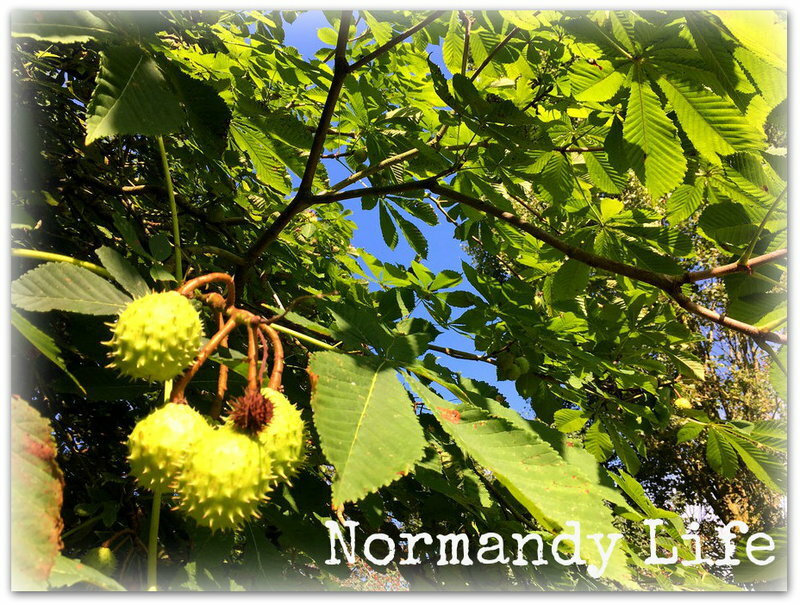 Yours are glorious, it's weird living in a country without the same passing of seasons. I expect there are the ways of telling the seasons through flowers here in Bangkok too but I'm yet to know! Thank you for hosting Maggie! Oh my what gorgeous pictures of daffodils! They are such a beautiful plant and yet so strong! Wow!! Thank you!